نیویورک' گٱپتری شٱر ڤلٛاتچٱ نیویورک و ٱڤلی شٱر پورنوفۊس ڤلٛات ڤولاتچٱیا یٱکاگرتٱ آمریکا ٱ. ↑ the Mayor, New York City Office of (January 8, 2010). "Biography". 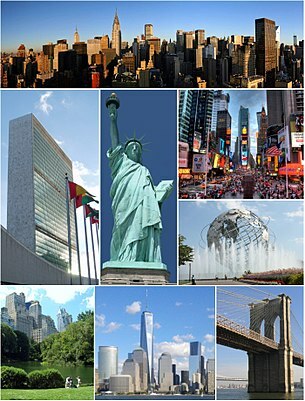 New York, City of. Archived from the original on March 17, 2010. https://web.archive.org/web/20100317115700/http://www.nyc.gov/portal/site/nycgov/menuitem.e985cf5219821bc3f7393cd401c789a0. Retrieved January 8, 2010. ↑ "US Board on Geographic Names". United States Geological Survey. June 23, 2018. http://geonames.usgs.gov. Retrieved January 31, 2008. Search for feature ID 975772. ↑ "Annual Estimates of the Resident Population: April 1, 2010 to July 1, 2017 – Combined Statistical Area; and for Puerto Rico – 2017 Population Estimates". U.S. Census Bureau. https://factfinder.census.gov/bkmk/table/1.0/en/PEP/2017/GCTPEPANNR.US41PR. Retrieved April 27, 2018. ↑ "State & County QuickFacts – Kings County (Brooklyn Borough), New York". United States Census Bureau. Archived from the original on February 17, 2016. https://web.archive.org/web/20160217175357/http://quickfacts.census.gov/qfd/states/36/36047.html. Retrieved March 24, 2016. د نۊ زنٱ بیٱ د"https://lrc.wikipedia.org/w/index.php?title=نیویورک_سیتی&oldid=101989"
اؽ بٱلگٱ ایسنؽا آلشت بیٱ د ‏۲۰ دسامر ۲۰۱۸، د ‏۰۲:۳۷.